Grilling is one of my favorite cooking methods – especially in the summer when the weather is just gorgeous! We especially enjoy entertaining in the summer, which is why I like to keep the menu simple, yet delicious – so I can spend more time with my guests and less time in the kitchen. 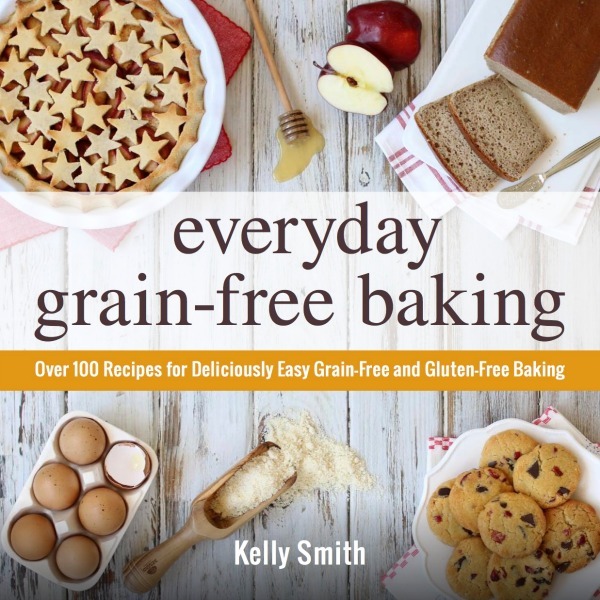 That’s why this recipe is one of my favorite “go-to” meals for summertime gatherings with family and friends. Everything can be done in advance, so all you’ll need to do is throw the fajita kebobs on the grill when you’re ready to eat. Then, just place everything on the table and allow guests to fill their plates with their favorite fajita fixins and sides. Simple, yet super satisfying! And whether you’re a novice, or veteran griller, be sure to check out my Top 10 Best Grilling Tips for some secrets of success that are certain to take your grilled foods to a whole new level of excellence! When ready to eat, preheat grill to medium heat making sure it’s thoroughly preheated before you begin grilling. Cook kebobs over medium heat about 3-5 minutes. Then, carefully turn the kebobs over and continue cooking for another 3-5 minutes, or until they reach the desired level of doneness. Since grill temperatures can vary dramatically, be sure to keep a close eye on your kebobs. If the meat or veggies start to get too dark before they’re cooked through, turn down the heat and move the kebobs to a cooler part of the grill to finish cooking. Or turn off the grill and cover the kebobs, until the meat is cooked to desired level of doneness. I am going to try to broil these in the oven- too cold to grill outside! These faijta kabobs were delicious! 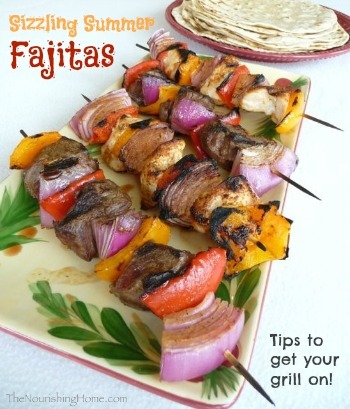 Have you ever used this marinade for an oven baked style fajita dish? 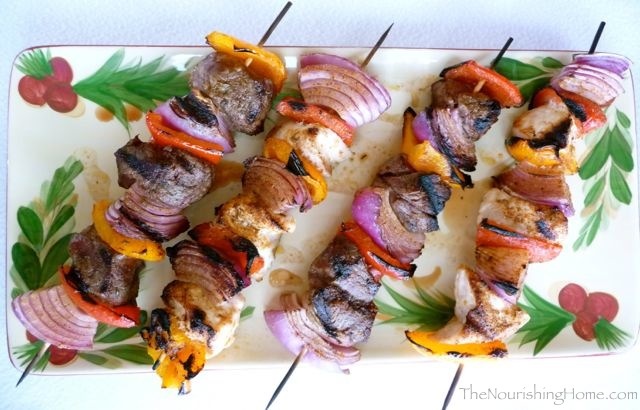 Putting together the kabobs were a little time consuming for me to add this recipe to our monthly rotation. Any suggestions would be appreciated!